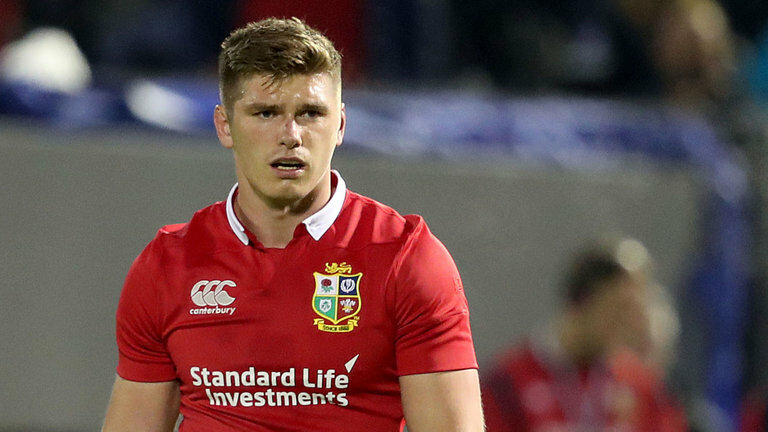 Eddie Jones will not see his star man play this weekend as Owen Farrell has been ruled out of Saracens’ match against Dylan Hartley’s Northampton Saints. The fly-half was set to play at Franklin’s Gardens – where the England head coach will be watching on Saturday – but picked up a knock in training. Mystery surrounds Farrell’s blow. Saracens will not divulge which part of the body their star playmaker has injured but insisted it was a ‘minor strain’ and not thought to be serious. Farrell had problems with his quadriceps last season. He missed several training sessions for England and Saracens in the run-up to big Six Nations and European Cup matches, but often managed to play on the Saturday. He sat out contact sessions picking up a leg injury in the Wales Six Nations match in February, but then featured against Scotland.